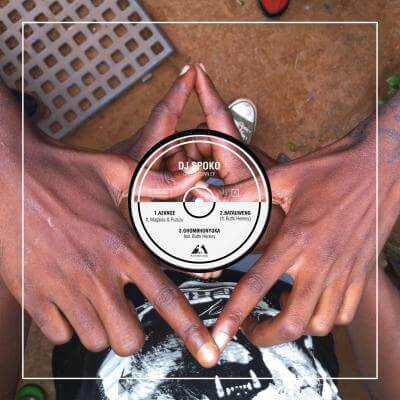 DJ Spoko was born Marvin Ramalepe, raised in the rural town of Tzaneen in northern South Africa, where he says “there was no first or third class—all the same.” He started producing on a PC at age 12, after moving with his brother Kelly Rams Ramalepe to Atteridgeville, a 99%-black township outside the mostly white city of Pretoria – to find their father. They lived in an area called Ghost Town, near Atteridgeville’s cemetery, where as the neighborhood’s premiere producer, young Spoko earned the nickname Ghost. The title of his new Ghost Town EP—Spoko’s first release in the West, via True Panther—neatly bundles both the man and the place, and serves as an introduction to the raw sound of Bacardi House, the genre he invented that now rules over the clubs of Atteridgeville. Bacardi House has been fermenting for a decade. 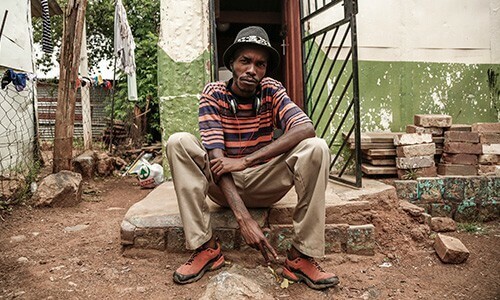 For three years in the early 2000s, DJ Spoko traveled 40 miles south to Soweto, where he studied sound engineering in the studio of Nozinja, creator of the hyper-speed, hip-shaking Shangaan Electro style. After, when Spoko built his own studio back home, he took a producer named DJ Mujava under his wing, leading to Spoko’s great but uncredited triumph, as the percussion mastermind behind Mujava’s Bacardi House indebted “Township Funk.” His sound consumed the township, passed around on numerous full-length cassette releases with names like Grave Yard Session, The All C’Ing I, and Tombs & Graves. On Ghost Town, Spoko pushes that sound’s simple yet ear-worming “space” synths, raw kicks and punishing military snares even further. Ghost Town is party music, sure, but there’s a stern and harsh reality, too. Guest vocals by Spoko’s Ghetto Boyz Entertainment crew address the warnings of forefathers, the violence of township life, and the rural world Spoko left behind. It’s the electrified sound of a country boy taking over his township. And next, maybe, the world.